China’s bilateral trade with ASEAN has been growing in recent years as bilateral trade figures continue to rise at annual rates of between 16-18 percent. Despite territorial clashes between various ASEAN nations and China over South China Sea claims, trade remains healthy and is set to rise even more due to several ASEAN nations – Cambodia, Laos, Myanmar and Vietnam – pending AEC compliance at the end of the year. Although getting an accurate figure on the exact number of bilateral trade between the two countries is problematic – China routinely seems to add an additional US$10billion to trade value when compared with anyone else’s statistics – all sides’ data point to a boom in cross border imports and exports. In terms of Vietnam, and looking at the recent balance in bilateral trade – of which China claimed a figure of US$50billion for 2014 – the trade gap is still in China’s favor, with about 70 percent being Chinese goods exported to Vietnam. 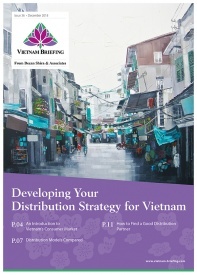 However, increasing improvements in Vietnam’s ability to deliver sustainable quality products on time, coupled with increasingly improving infrastructure and a lower operational cost base can be expected to kick start trade in the opposite direction. 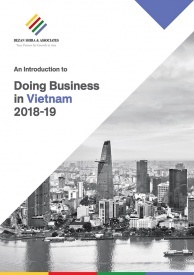 The December 2015 AEC compliance deadline, which calls for Vietnam to be simpatico with ASEAN’s free trade agreement with China, can be expected to boost Vietnamese exports to the PRC, with many Chinese manufacturers having now begun to establish operations in the nearby country. As production costs in China continue to rise, the emphasis has been on recreating supply chains from cheap manufacturing bases. This move has been helped by Vietnamese contemporary culture being both communist and not dissimilar, at least in the North of the country, to that of China’s. 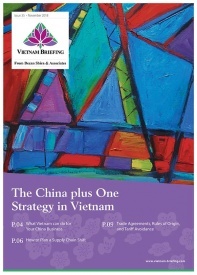 The message here at least is that China familiarity facilitates the passage of commerce in Vietnam. 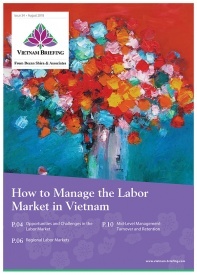 This can be viewed at the various Vietnamese trade fairs that are now springing up, and which follow along the lines of China’s biannual Canton Fair. A useful link to Vietnam’s trade fairs can be found here, these shows are indicative that sourcing in Vietnam is now gaining a lot of traction, especially when faced with increasing Chinese costs. A trend is likely to be the manufacturing of cheaper component parts in Vietnam, to then be exported to China and then assembled into a final product manufactured in China. To do this however requires an understanding of the Rules of Origin certification, which Chinese customs are likely to request. This also applies to other ASEAN nations exporting goods to China as well. ASEAN does not apply a common external tariff on imported goods. Each ASEAN member may impose tariffs on goods entering from outside ASEAN based on its national schedules. However, for goods originating within ASEAN, ASEAN members are to apply a tariff rate of zero to five percent (the more recent members of Cambodia, Laos, Myanmar, and Vietnam have been granted until December 31, 2015 to implement these reduced tariff rates). This is known as the Common Effective Preferential Tariff (CEPT) scheme. Temporary exclusions refer to products for which tariffs will ultimately be lowered to zero to five percent, but which are being protected temporarily by a delay in tariff reductions. This refers to products including commodities such as rice; ASEAN members have until 2015 to reduce the tariff levels to zero to five percent. General exceptions refer to products which an ASEAN member deems necessary for the protection of national security, public morals; the protection of human, animal or plant life, and health; and protection of articles of artistic, historic, or archaeological value. ASEAN members have agreed to enact zero tariff rates on virtually all imports by 2010 for the original signatories, and 2015 for the CMLV countries. The exporter must obtain a “Form D” certification from its national government attesting that the good has met the 40 percent requirement. The Form D must be presented to the customs authority of the importing government to qualify for the CEPT rate. 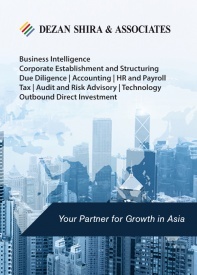 Difficulties have sometimes arisen regarding the evidentiary proof to support the claim, as well as how ASEAN national customs authorities can verify Form D submissions. These difficulties arise because each ASEAN national customs authority interprets and implements the Form D requirements without much coordination, although ASEAN is working to standardize this. 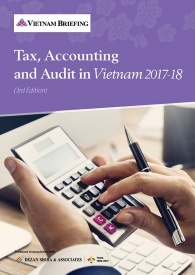 Vietnam has yet to fully clarify how it will implement its own CEPT and manufacturers and traders will need to keep abreast of these developments. 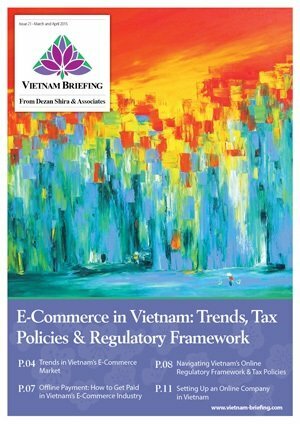 One thing is for sure however, Vietnams move into AEC compliance will significantly alter the amount of Vietnam-China bilateral trade, with both a massive spike to be expected and a large push in Vietnamese component parts being exported for final product assembly in China. These developments will have an impact on the profitability of China based manufacturing and understanding how this plays out will be a key issue for manufacturers on both sides of the border.